The mission of the State Approving Agency is to inspect, approve, and supervise programs offered by qualified educational institutions, training establishments, and tests for licensing and certification for veterans, eligible persons, or reservists, under the standards and provisions of Title 38, U.S.C., Chapters 30, 32, 33, 35 and 36. In addition, the State Approving Agency provides outreach services to veterans and to prospective institutions, and provides technical assistance and conducts compliance reviews to ensure accurate enrollment and management of eligible persons at approved educational institutions. The State Approving Agency serves as a critical point-of-contact for institutions and facilities desiring to provide education/training under the provisions of Title 38, U.S.C., Chapters 30, 32, 33, 35 and 36. 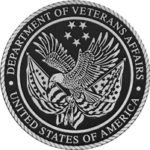 The State Approving Agency ensures that Alabama Veterans and other eligible persons, utilizing their G.I. Bill Education Benefits receive a quality education and training through the approval of education programs at institutions of higher learning (IHL), non-college degree (NCD) institutions, apprenticeship programs, on-the-job (OJT) training programs, flight training schools, correspondence schools, and state and national exams. Permanent school closure – What Can I Do?